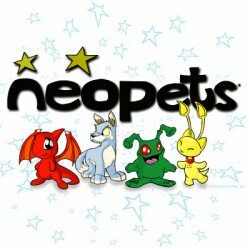 Growing up, one of my fondest childhood memories were of me playing Neopets. I remember how excited I would be at the thought of being able to play it after school, or during the weekends. The early 2000s marked the era of rising development of virtual worlds for preteens in games, and other virtual online gaming sites that I loved were Club Penguin and Millsberry. Launched in 1999, Neopets is a virtual pet website which allows users to own pets and buy items for them using Neopoints (earned through playing games, selling items, or by chance) in the virtual world of Neopia. There was a time where Neopets was all the rage – but it has since been forgotten now. Though it still exists, there are definitely way lesser users compared to when it was at its peak. This shows us the fragility of virtual places and worlds – how it can “disappear” so quickly. I suppose what made Neopets so appealing to users all over the world was how it managed to carve out an addictive, virtual world for users to build a life outside of their real life. It manages to stimulate real life but yet makes itself distinct from reality as well. The objects and actions/effects within the game imitate real life objects and actions, but yet have a life and meaning on its own. I, too, took much pride in making sure I was progressing quickly in the game. Virtual worlds like these serve as a form of escapism from the problems of reality for many users – in my case, I think I was escaping from the pile of homework waiting for me. However, aside from mild escapisms, this could easily lead to a vicious cycle for many others – there are cases all over the Internet on online gaming addiction leading to depression or social anxiety and vice versa. Although I haven’t played Neopets in years (and probably will not anymore), it will always be remembered in my mind as my virtual world to call my own in my preteen years. Chapter 1 and 2 from Nick Yee (2014)’s The Proteus Paradox. Neopets was my all time favourite online world!! It was probably one of the better online worlds that allowed users to maintain responsibility of their pet, join into consumerism and socialise in the chat rooms, as well as the guilds! My cousins and I used to always connect over our Neopets, we spent hours building our own worlds.